Sansotei Ramen is a new Dundas St. hot spot for salty, sensuous, steamy bowls of traditional Japanese soups, and it's a bold move to open up in the shadow of recent Japanese heavyweight Momofuku . But apparently, they're doing just fine--arriving at the modest dinner hour of 7:45pm, we're greeted at the door by a bad sign: "sold out! Sorry!" These are never words you want to hear, nor read, when you're hungry. A server apologetically informs us that there were only two bowls of pork bone broth still available, and without hesitation, we make sure those were making the beeline to our table while we browse the rest of the one-sided menu. 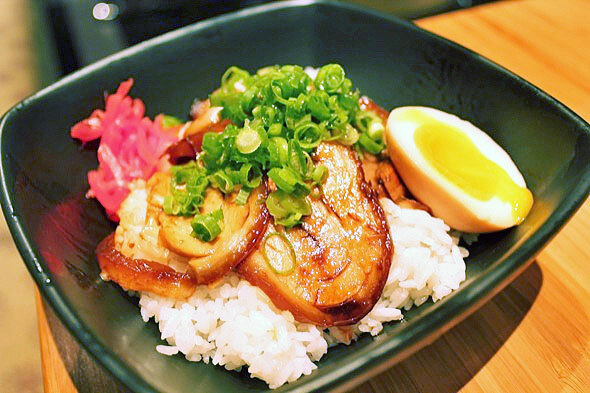 We settle on one bowl of tonkotsu ramen ($9.25), one bowl of miso ramen ($9.50), gyoza ($4.50), zangi (fried chicken) ($4.50), chasu don (pork belly on rice) ($5.50) and cha-haw (fried rice) ($5.50). We're ravenous with yearning as we twiddle our chopsticks, letting our eyes dart from the bamboo tables, to the slivered stone wall, to the giant fisherman's rope hanging overhead. Luckily for us, the service is speedy and the soups are sensational. 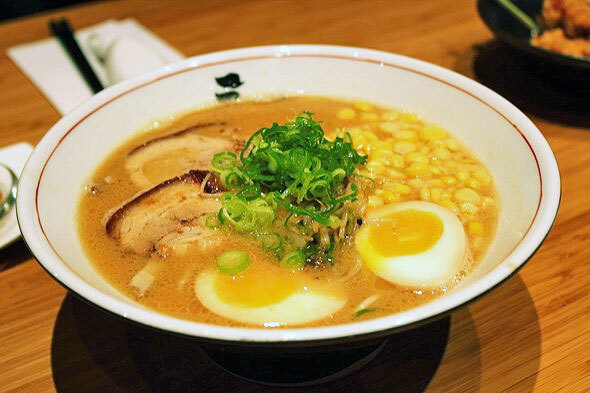 From the tender texture of the noodles, to the perfectly soft-boiled egg, to the soft, sweet pork belly, and down to the last drop of smooth, bold broth--this was a ramen to be reckoned with. 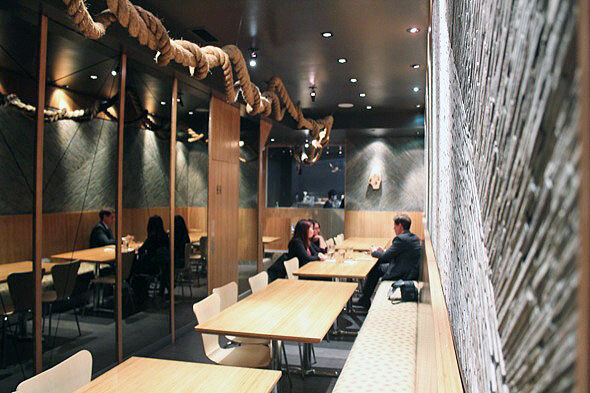 After all, this is the piece de resistance of chef and owner, Michael Zhang, who high-tailed it out of the quick service restaurant industry after eight years, and enrolled in the Yamato Ramen School in Japan. "I've always been obsessed with Japanese food," Zhang tells me. "I've traveled to Japan a lot with my wife, but this time was more about understanding the country, the culture, and the art of the ramen." 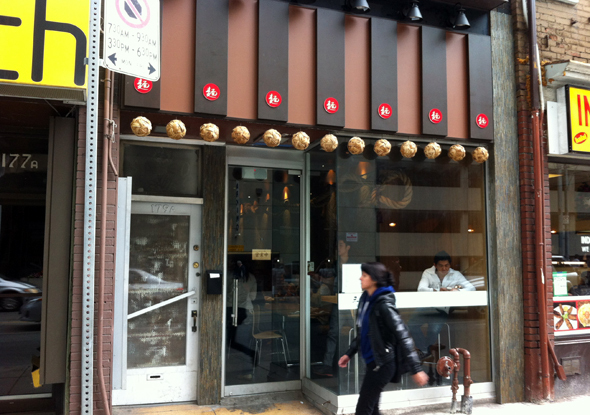 Ramen in Japan, and increasingly in Toronto, is serious business. The Yamato School, actually located in the udon prefecture of Japan, taught Zhang everything from proprietorship, to noodle-making (he uses his own recipe at the shop, but needs to contract out the manufacturing due to space constraints in the kitchen), broth boiling, and how to prepare the perfect toppings. "There is no exact science behind the perfect bowl." Zhang admits. "The school is actually like a lab with over 150 ingredients to choose from. It's impossible for two recipes to yield the same taste." The cha-haw is the least exciting of the dishes. While it's by no means a disappointment as far as the smokey flavour and the texture of the rice, it's underwhelming in comparison to the other dishes. 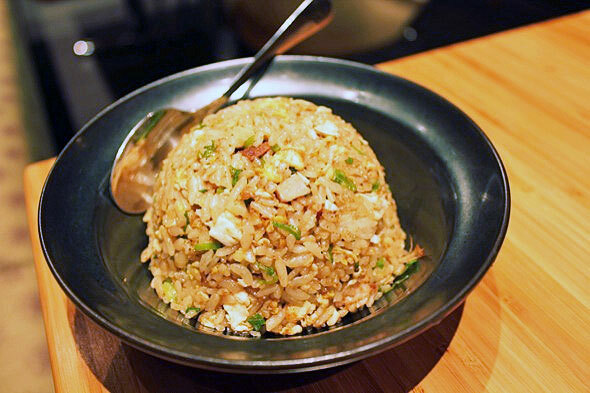 The chasudon sees the return of the same supple pork belly and soft-boiled egg as in the ramen, and it's executed well. Be forewarned about the pickled ginger, however--I was anxious for a bit of a palate cleanser, these tiny pink strands were like sucking on a salt cube. While the ramen itself is a hit--my friends and I also enjoyed the salty kick of the miso ramen, with crunchy niblets of corn over the velvety creaminess of the tonkotsu--we were talking about the zangi long after we left. 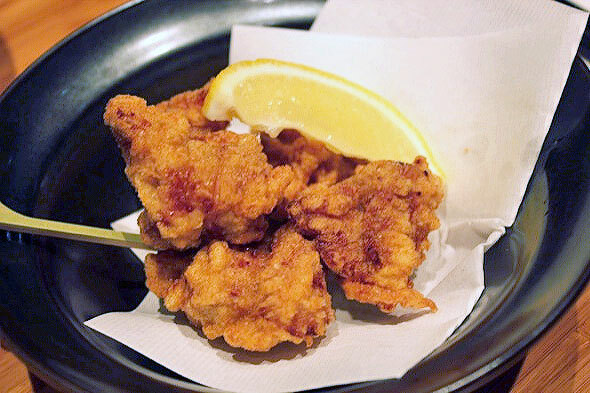 Marinated overnight in soy sauce, sugar, ginger and garlic, then dredged in flour, fried golden and served with a simple lemon wedge, these karaage were otherworldly. We left with a pleasantly full stomach, and our palates were satisfied. 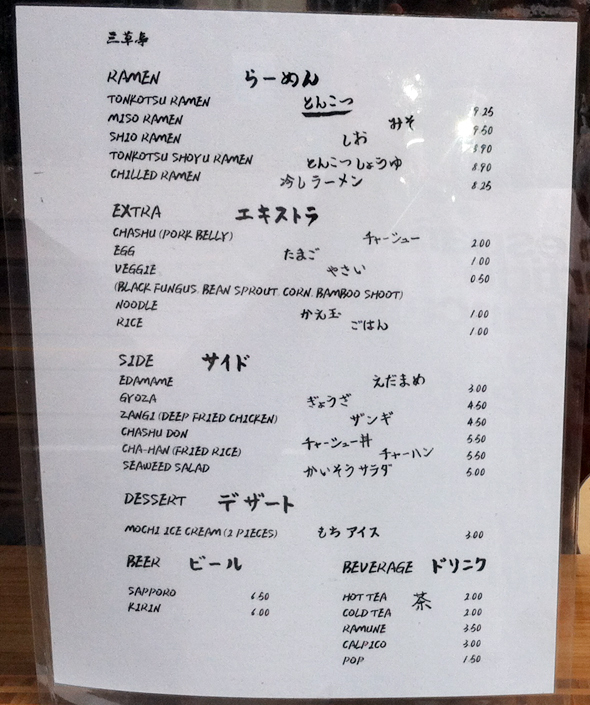 I'll be making my way back to Sansotei Ramen soon, and hopefully before they run out again.